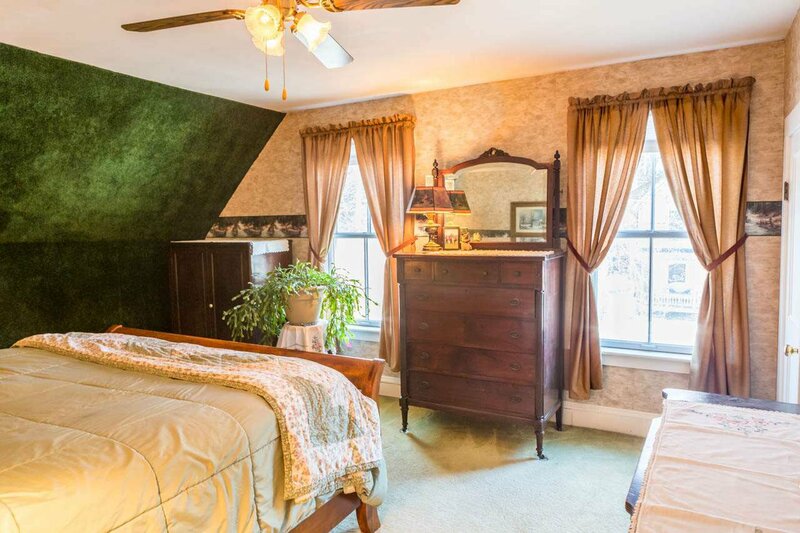 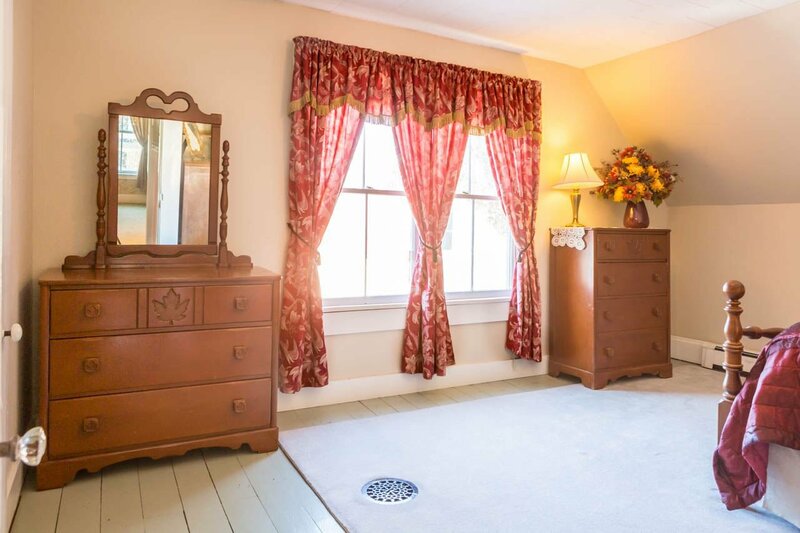 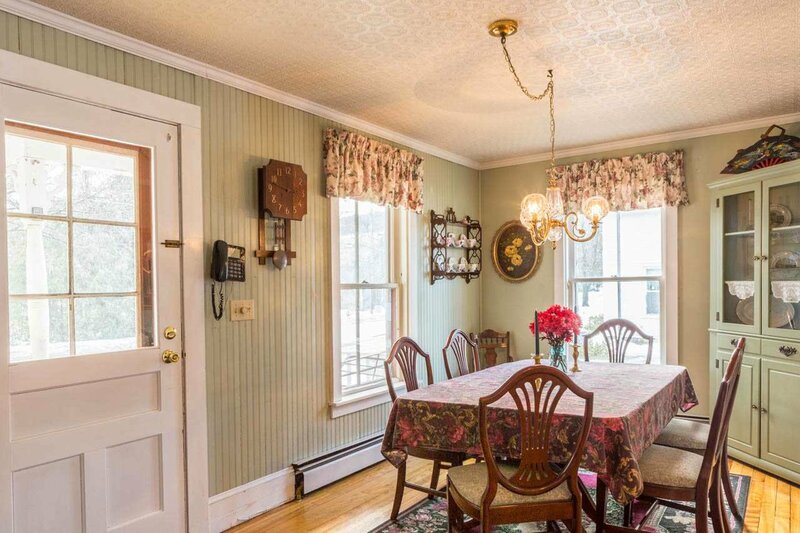 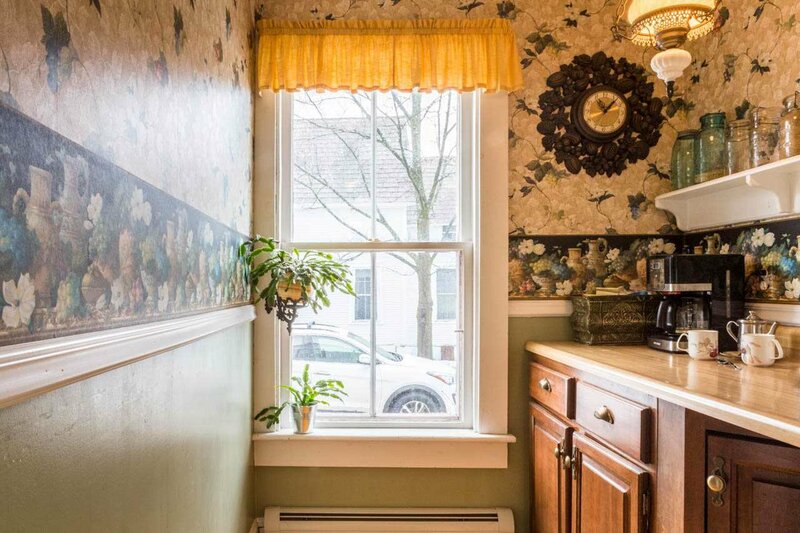 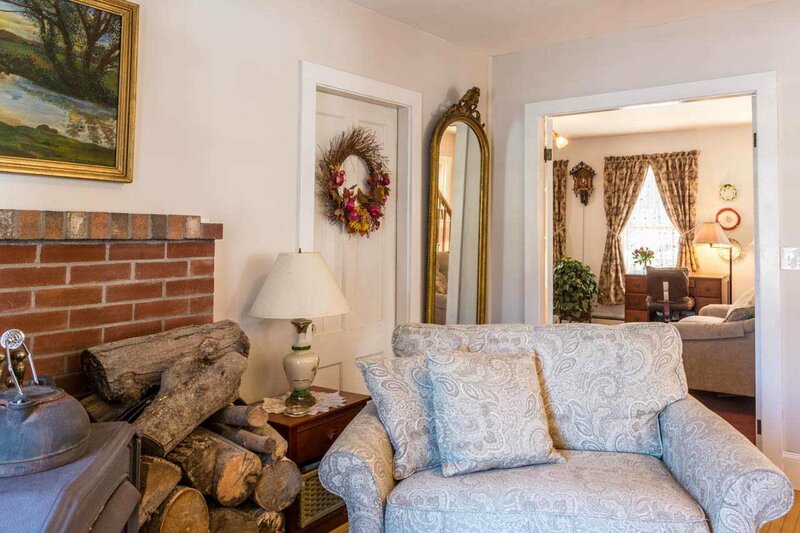 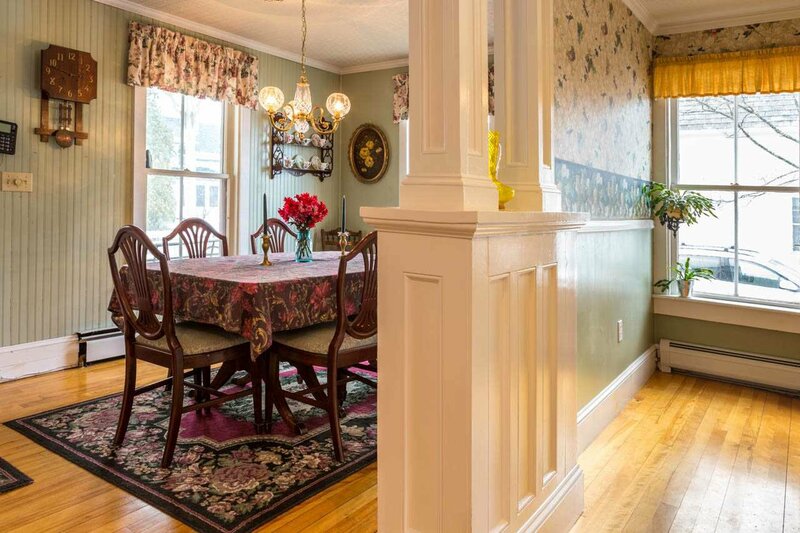 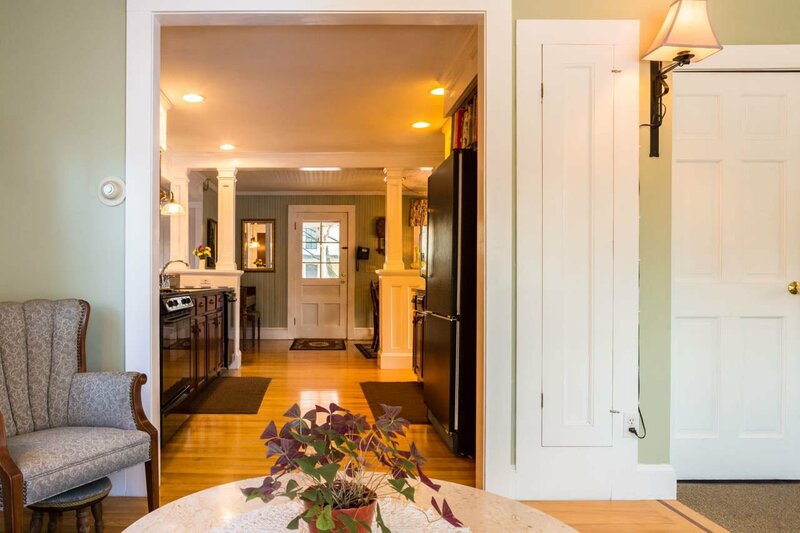 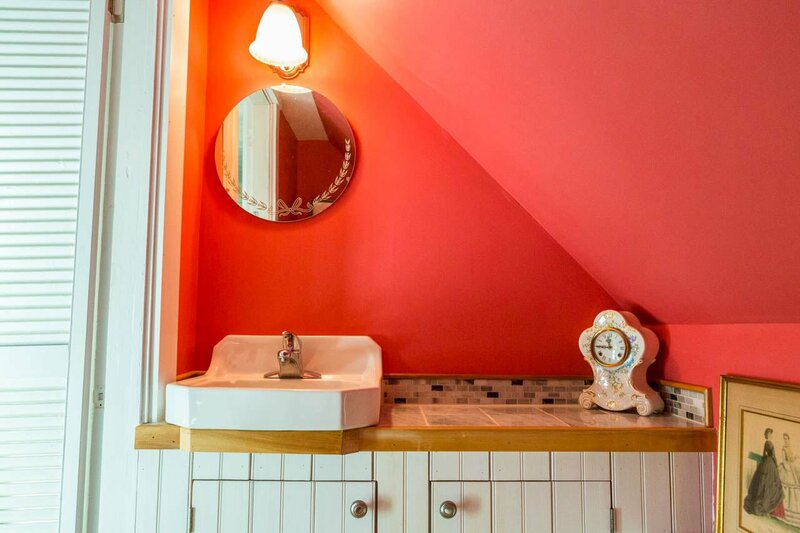 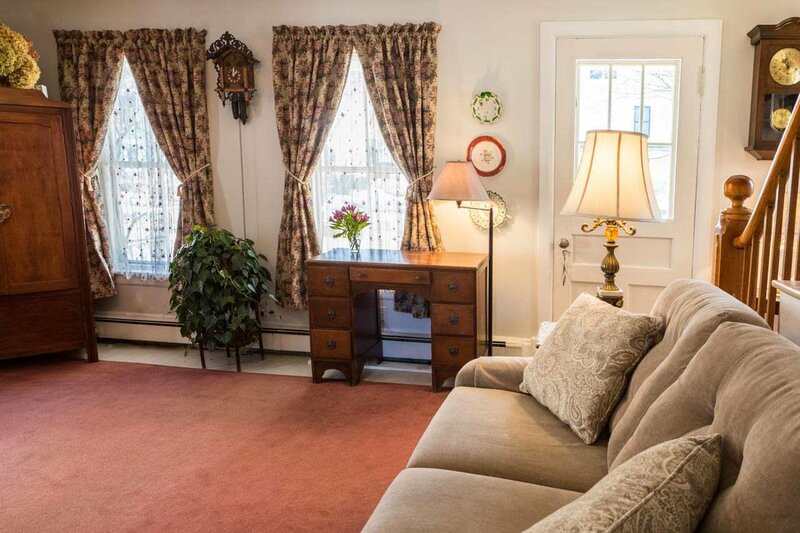 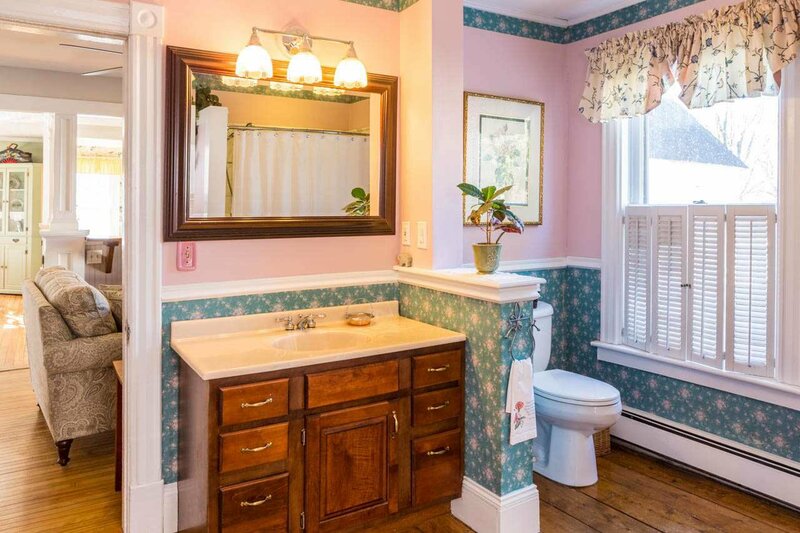 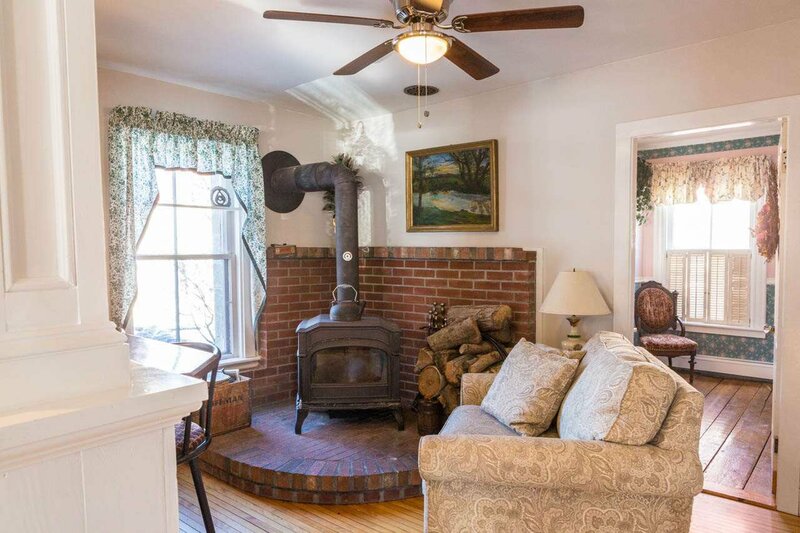 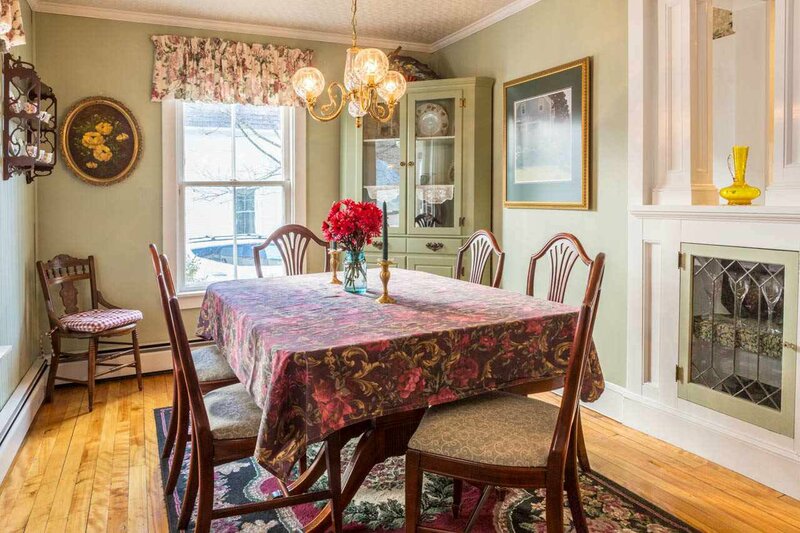 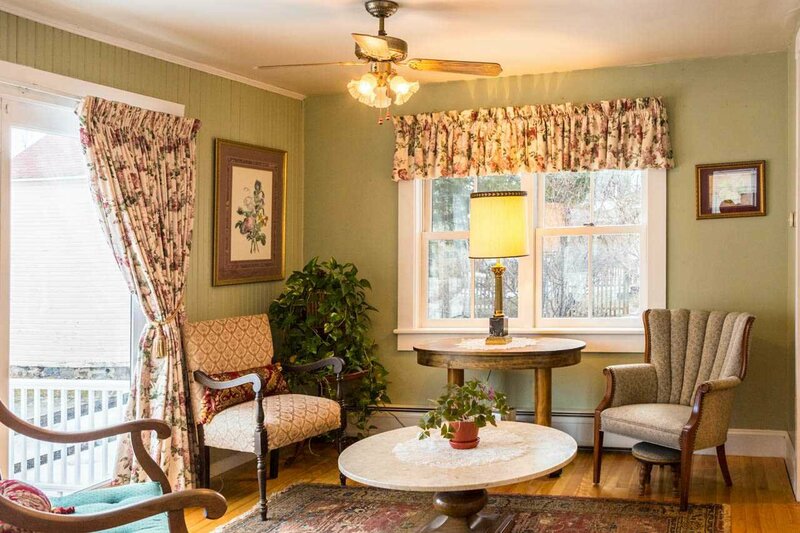 This Bristol village residence offers the charm of a vintage home along with modern updates. 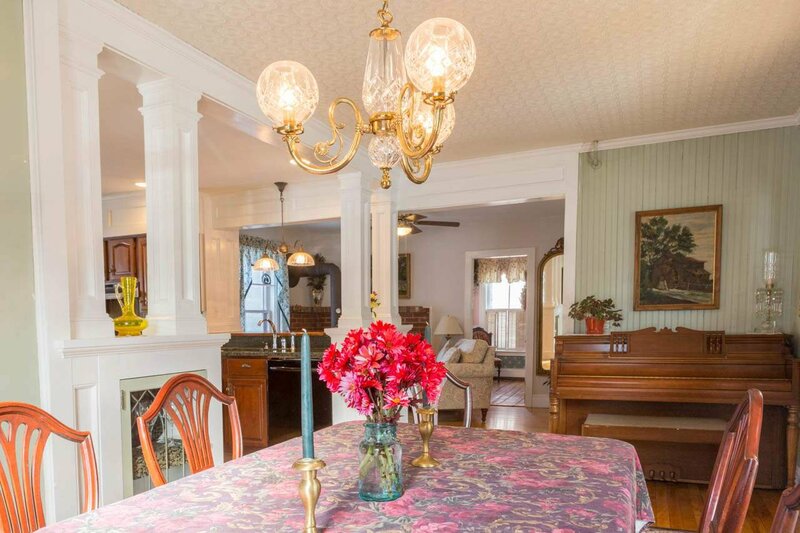 Enter through the main front door from the inviting curved front porch into the dining area. 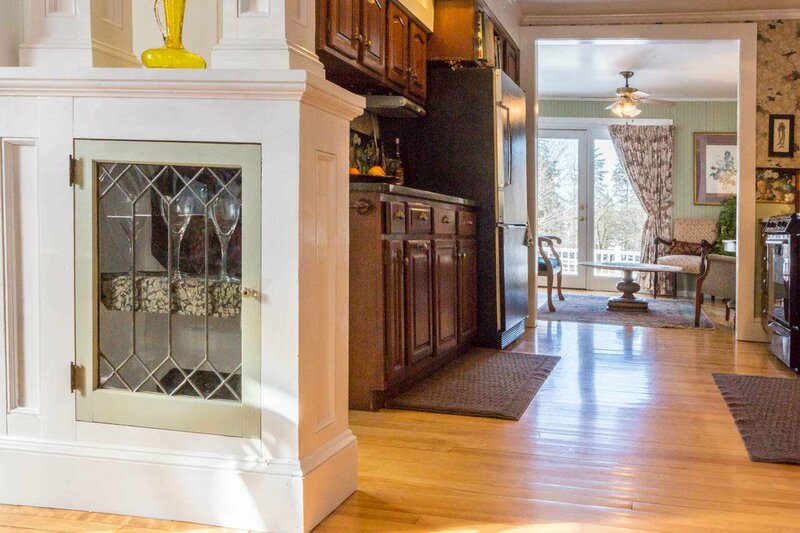 From here, the leaded glass cabinets will grab your attention along with the gleaming hardwood floors. 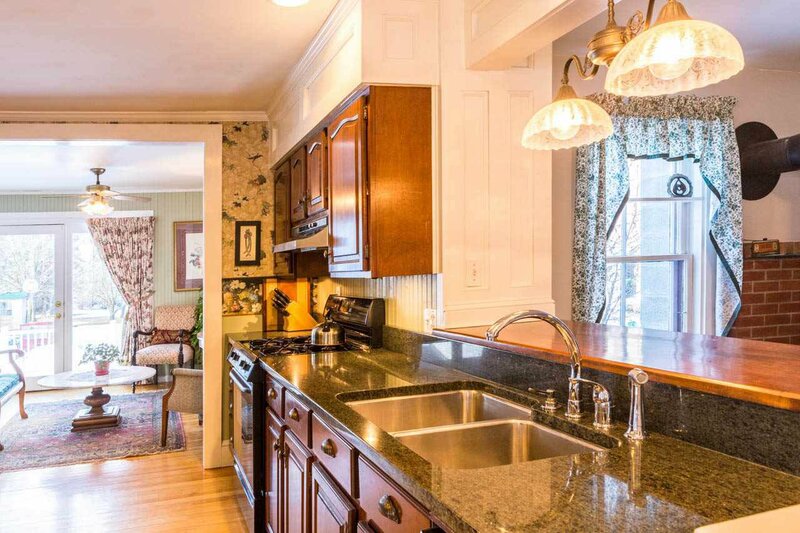 The kitchen features granite countertops, gas range, and a walk-in pantry with broom closet. 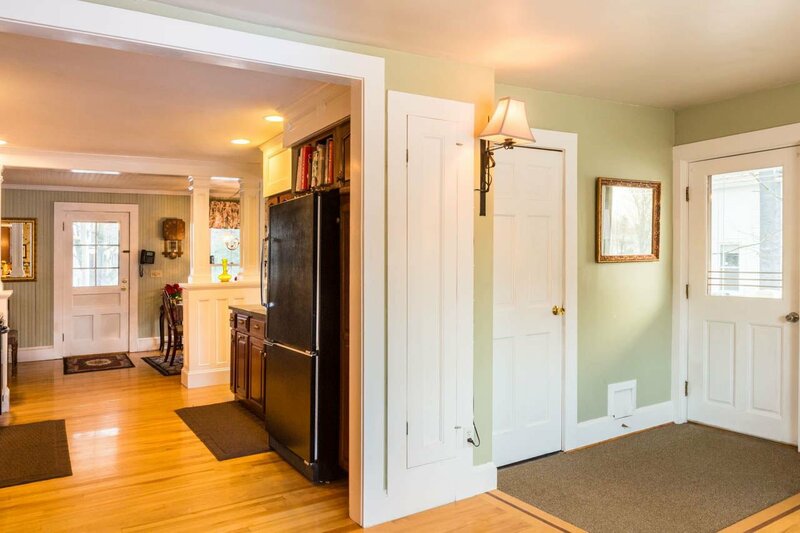 Straight ahead, the light pours into the family room with French doors leading to the composite back deck. 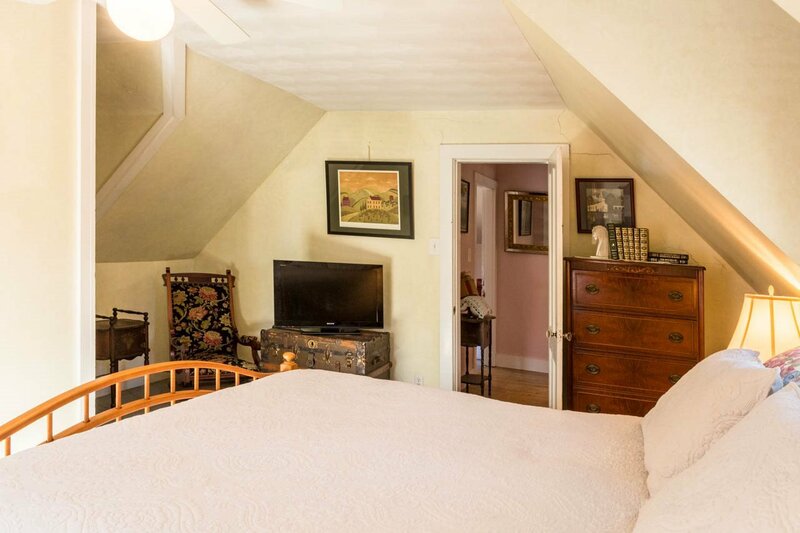 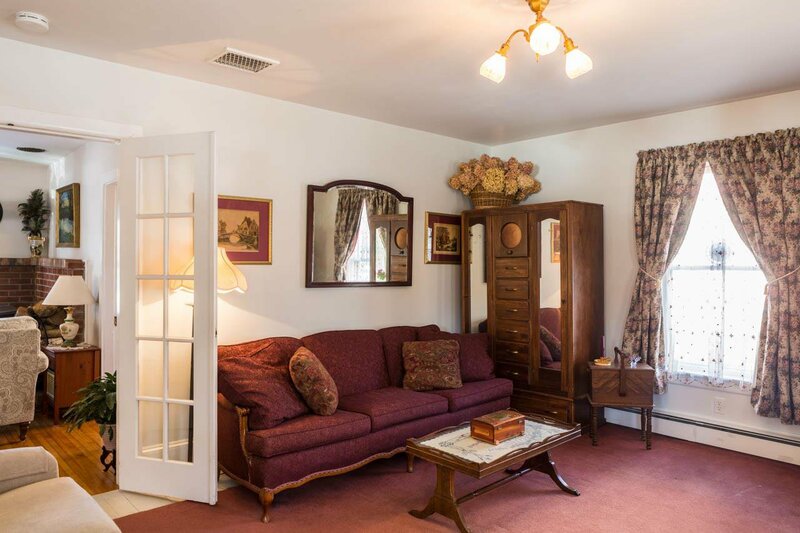 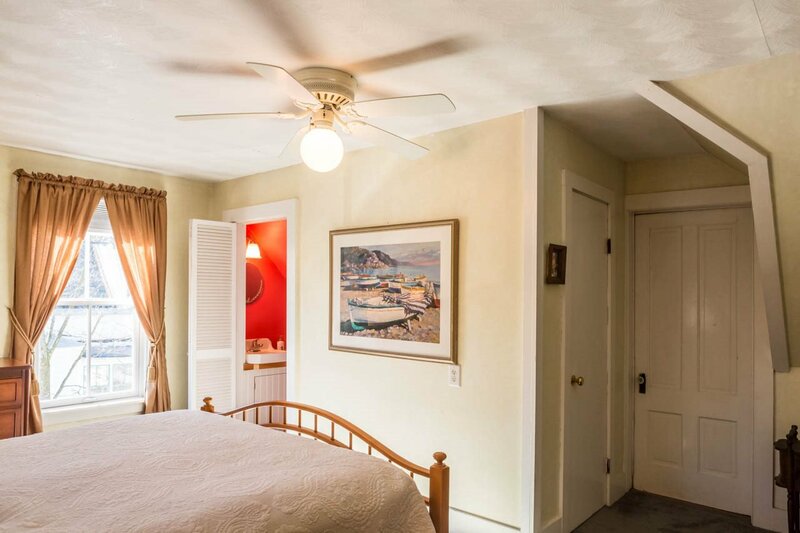 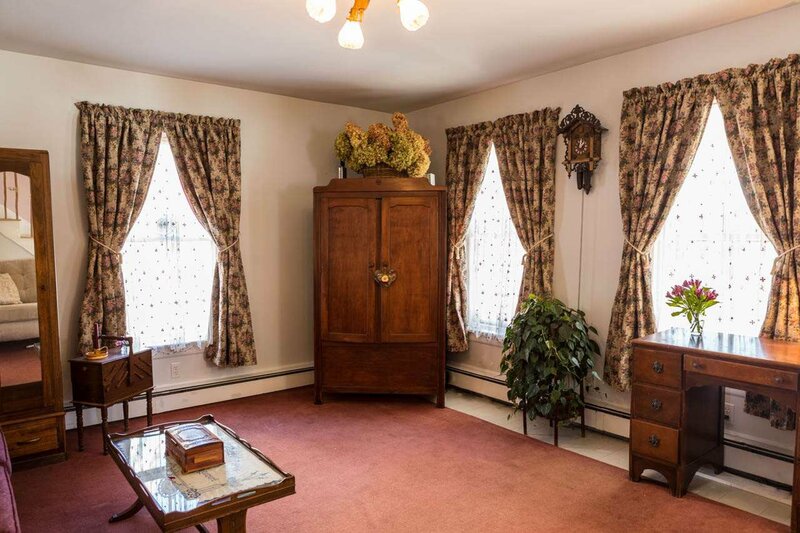 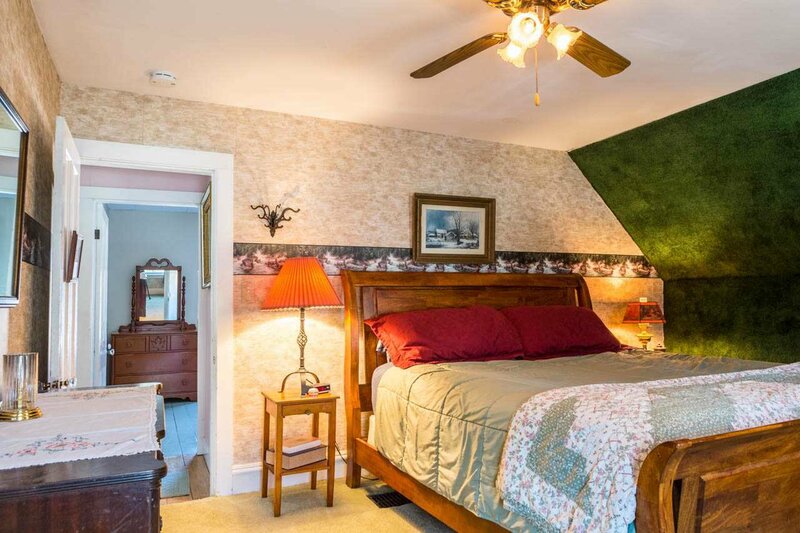 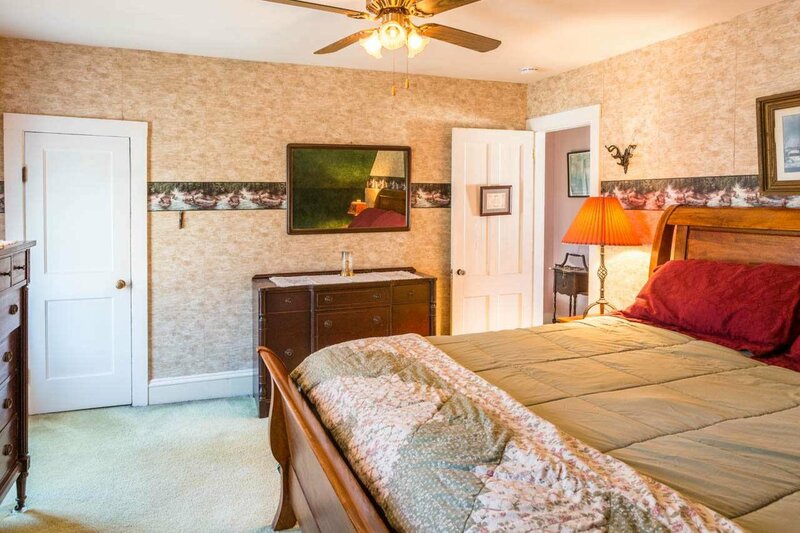 This room also offers easy entry from the driveway and access to the back stairway. 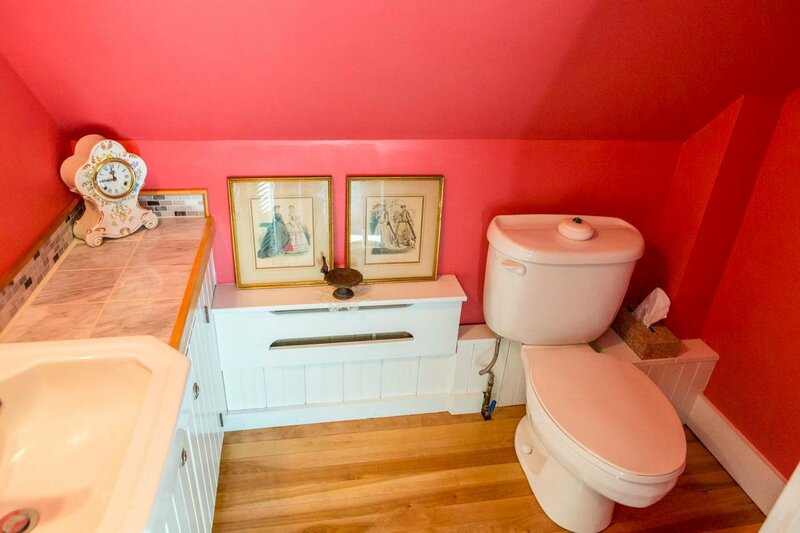 Don't miss the pull-down ironing board closet as well. 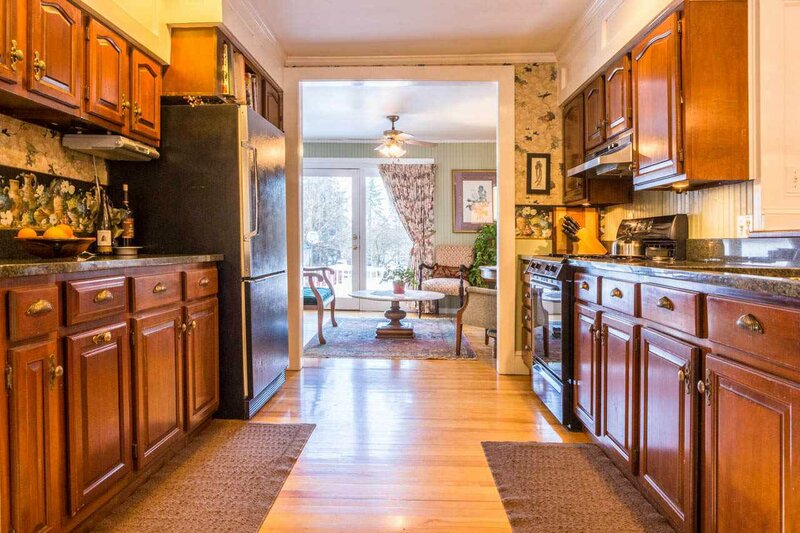 Off the kitchen, enjoy quick meals at the breakfast bar while warming up with the wood stove in the cozy den. 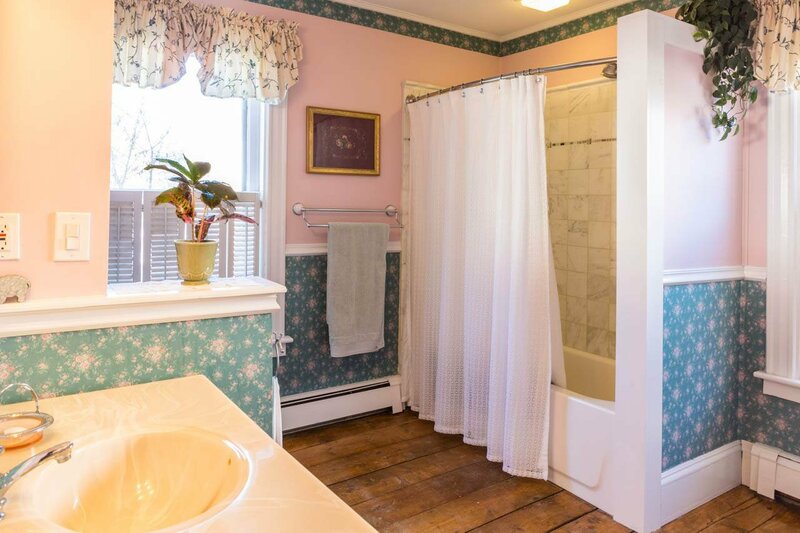 The large full bath with laundry closet and utility sink are also on this level. 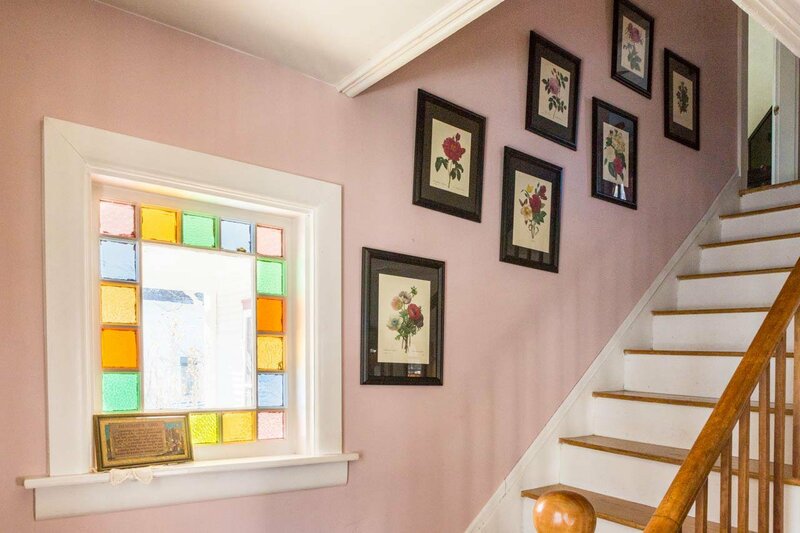 The front living room leads to the main stairway which features a beautiful stained glass accent window. 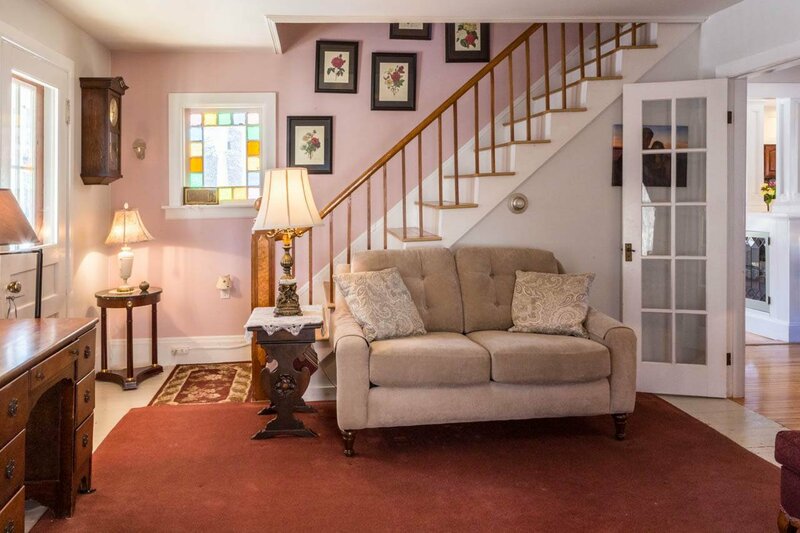 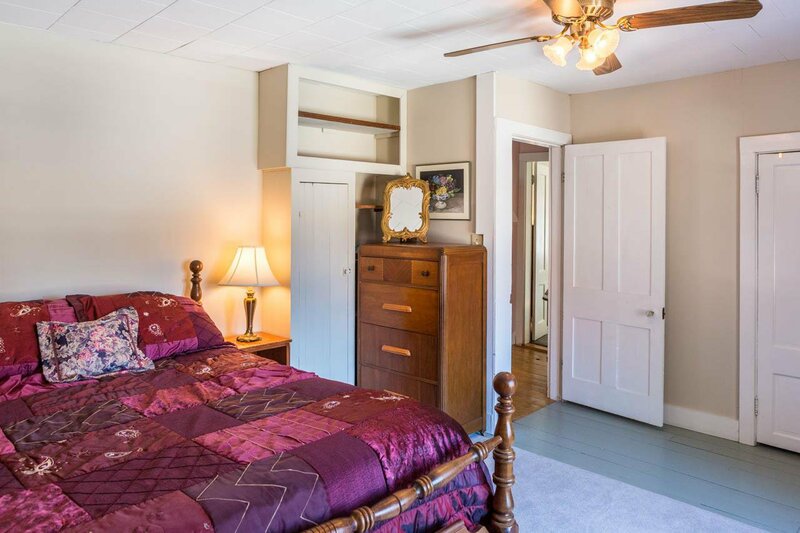 Head upstairs to three bedrooms, one with a half bath and access to an unfinished room with great potential as the back stairway leads down to the family room. 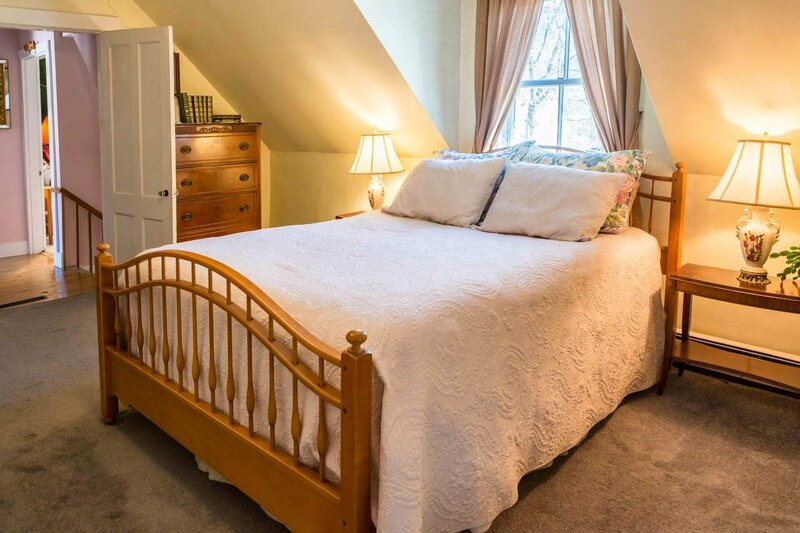 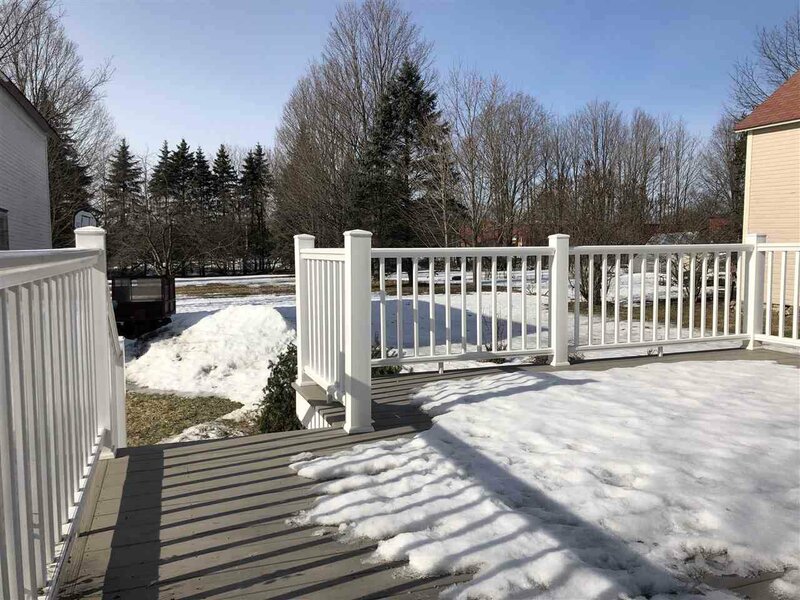 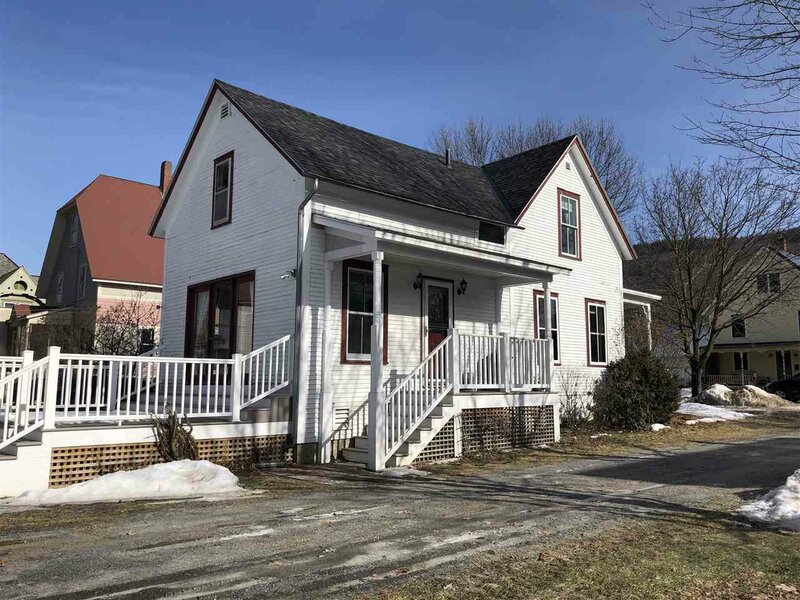 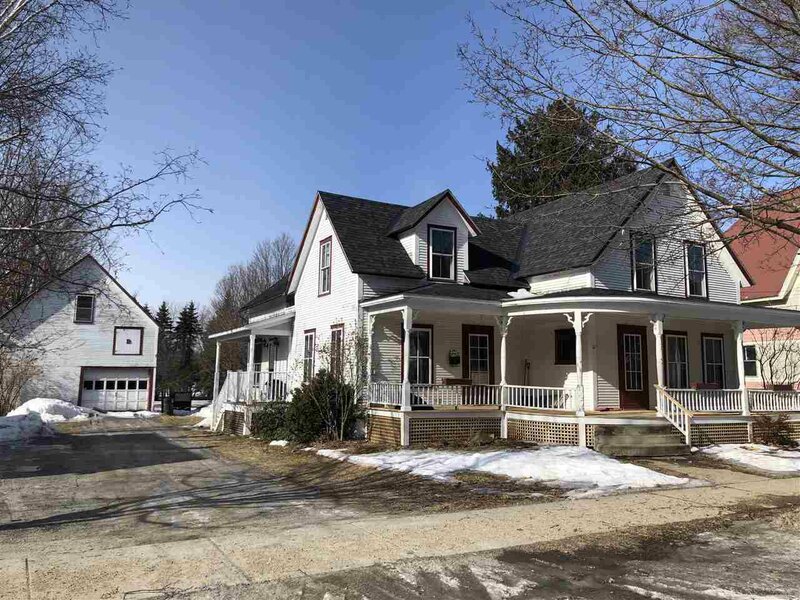 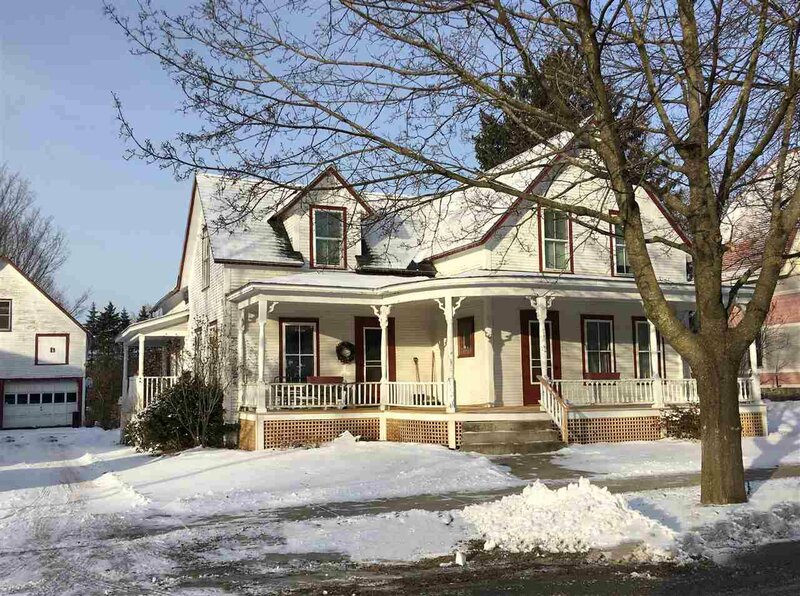 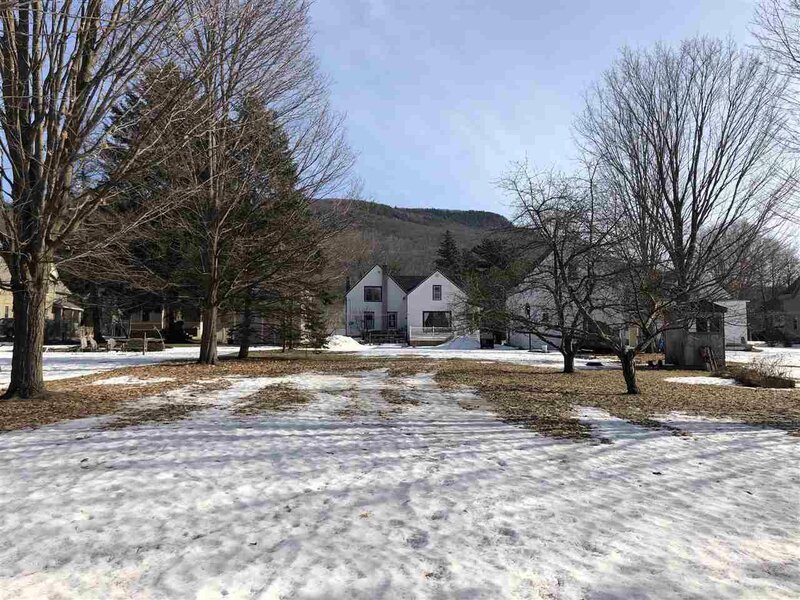 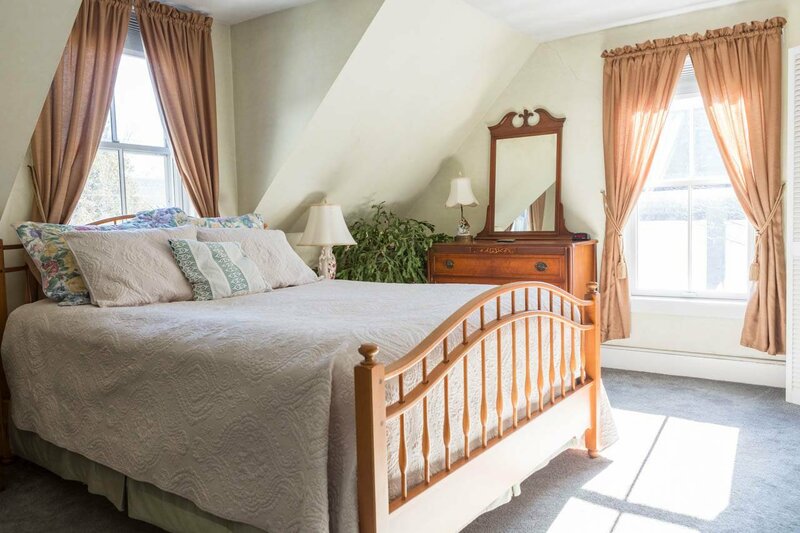 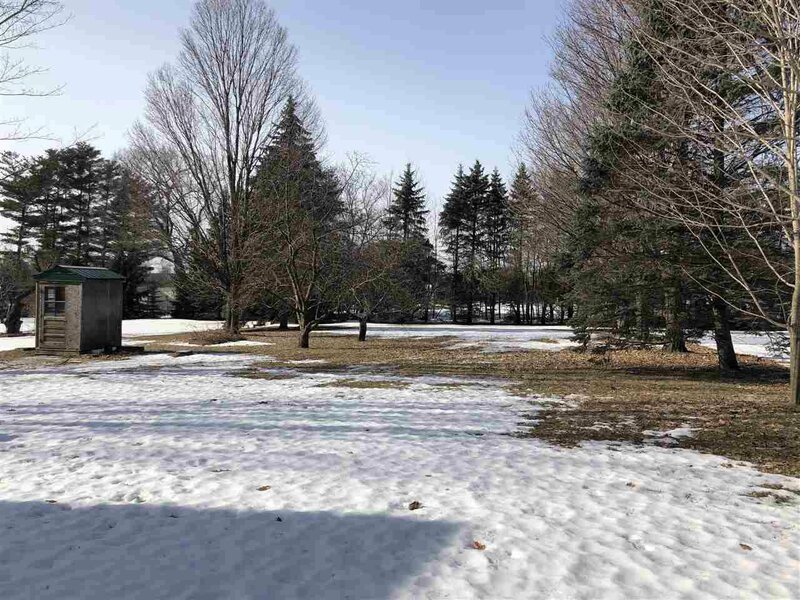 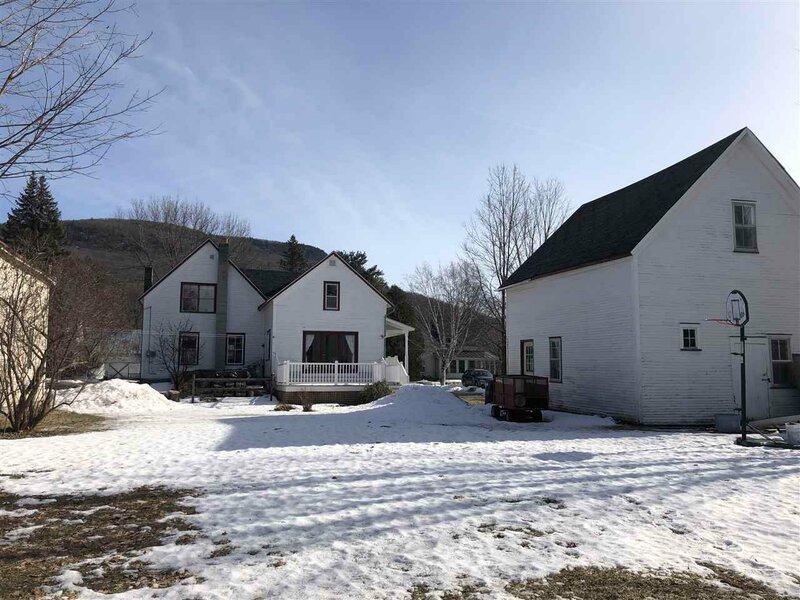 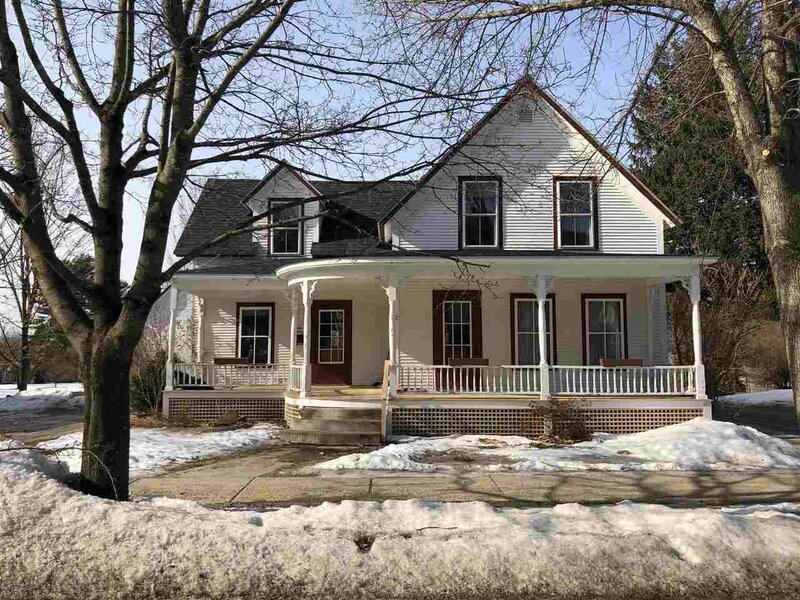 The carriage barn with 2nd level storage complete the property, and the large level lot and location are ideal for Bristol living in this walkable community.